As a lifelong sailor and racer, I honestly prefer working with spread-sheeters over impulse buyers. Spreadsheet guys wisely focus on both the visible and the invisible when buying a boat, because they recognize the purchase of a large catamaran is not, as one of my customers smartly says, “like buying a stick of bubble gum.” It is a big decision and all due diligence is in order. 1. A spreadsheet is only as accurate as the information you feed it. Spreadsheet guys know they need accurate information to punch into their computers. Sadly for them, the “light ship” weight advertised by builders is the approximate weight of the boat before they add on a single option—the tender, the spares, etc. I’ve never weighed a production catamaran that came in anything close to light ship weight. 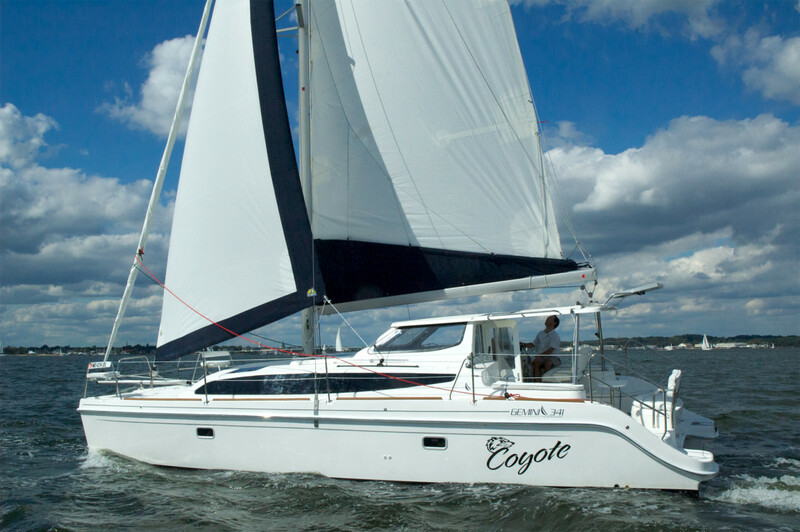 The older Catana 471 design, for example, was said to weigh 26,000lb. One of our customers weighed his last year, and it came in over 33,000lb. Recently, during a survey in Greece, we hauled out a Catana 582 with an advertised weight of 23 tons. The crane operator scaled her in at 28 tons. A few years ago a gentleman hired me to serve as his yacht broker, and he became infatuated with a high-end 70ft luxury cat. I explained to him that such a boat was ideal for charter, a true palace of luxury inside, but he had best not be hoping for high performance. 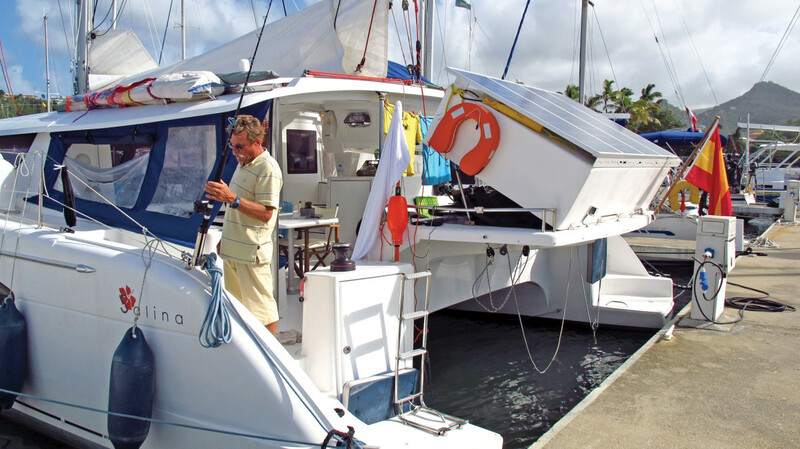 He begged to differ because he had gone to some website that calculates catamaran performance based on advertised numbers and was told it would consistently sail at 12 knots. I’d sailed one of these yachts and it was clear to me that he’d picked up some very bad information. 2. Even with the most accurate input, polar performance numbers on cruising cats are seldom achieved. About a year ago a sailor e-mailed me and asked if we had polars for the new Balance 451 I had co-designed with Roger Hill. “No,” I replied, “Why do you want them?” I should never have asked. Spreadsheet guy! I e-mailed Roger Hill and asked him to work with a firm in New Zealand to do the polars. When they arrived it became clear that if the Balance 451 could sail to the numbers that were generated, we should have contacted Elon Musk to join his rocket team. All of the numbers punched in were as accurate as we could get for the light ship boat. The polars said that in 30 knots of the wind on the beam we would be sailing at 26 knots. Give me a break! I immediately decided these numbers were useless. I’ve sailed the boat enough to know that she likes to sail happily in the 9 to 10-knot range with cruising gear and is happy in the right conditions to sail in the mid-teens. That’s quite fast enough for me. But if only the numbers are to be trusted, I’ll just let you spreadsheet guys go ahead and deceive yourself. 3. It isn’t how fast she can go surfing down a swell. The most relevant question for a voyaging sailor is what sort of speeds his boat will average over a 24-hour period in winds over 10 knots on all points of sail when operated shorthanded without pressing the boat. One of the most exasperating things about boat shows is the performance nonsense tossed about by salesmen on the docks. When folks are telling you that X charter cat can easily exceed 15 knots you must know this refers to a glorious millisecond in time captured on the GPS as the boat surfed down an 8ft wave in 20-plus-knot beam winds. One good way to learn how easily a boat is driven is to motor her. If you run her up at 3,000 rpm, how fast will she go with her standard engines? Then back off and see how much her speed drops at 2,500 rpm, then at 2,000 rpm. Every boat has a sweet spot where she slides through the water easily and efficiently, and to go over that spot requires you to push her very, very hard to gain a marginal increase in speed. The easily driven speed is the only thing that matters because when you are cruising, you cannot safely push a boat for hours on end. 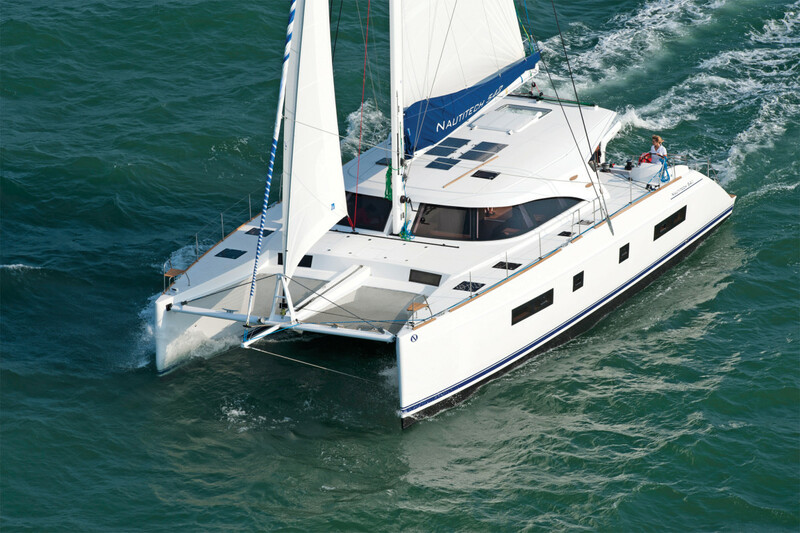 The fact is, few production catamarans today are capable of averaging over 7.5 knots over a 24-hour period. 4. Are you racing or cruising? Before a race you take everything off your boat, stowing away sails you won’t be using and emptying all of the tanks. We all know any boat will go faster the lighter we can make her. But if you are a cruising sailor you had best run your spreadsheets with all the stuff you intend to carry, because it is one thing to go fast on an empty flat-sided performance cat and quite another to sail fast when loaded for a voyage. Probably the most important number to factor into that spreadsheet is what is called the sinkage ratio. How many pounds does it take to sink an inch? Flat-sided hulls will sink a lot faster than flared hulls. 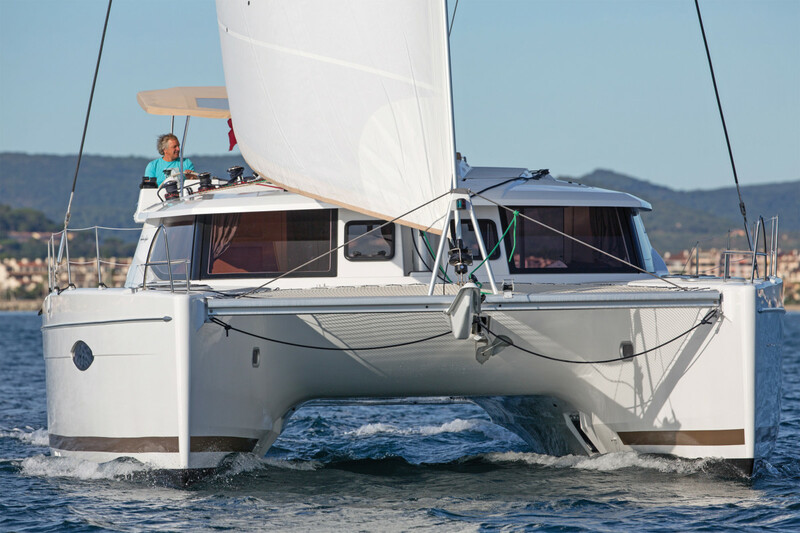 The top-end speed of a flat-sided hull empty is higher than the top-end speed of a flared hull or a wider hull. But often enough, the flared or wider hull will start to outperform the narrower or flatter hull when you load them up. This is why any good design process starts with a careful measurement of not only what a boat will weigh with the chosen materials, but also what she will weigh after the buyer puts on his dive compressor, tender, generator, air conditioner and so on. I have noted that many spreadsheet guys talk a good game about “keeping it light,” but then overload their boats with gusto. So if you are going to get yourself a skinny boat, either keep her on a diet or find something designed to carry the true loads you will be voyaging with. 5. Spreadsheets have a hard time calculating leeway and upwind speed in various sea conditions. It doesn’t take a spreadsheet to know that a daggerboard cat is going to sail consistently higher and make less leeway upwind over a cat with fixed keels. Anyone who says otherwise is selling cats with keels (which, by the way, are far cheaper to fabricate). They will also tell you that daggerboards are complicated to operate, which is also not true. What is harder to calculate is the kind of performance a boat will have when sailing in a range of different seas and winds, regardless of her keel or daggerboard configuration. This is because upwind speed is heavily influenced not only by the quality of the sails, but by two major competing design issues—the height of the underwing, or bridgedeck, above the water, and windage. 6. Underwing clearance is a tradeoff. All things being equal, a cat with a low underwing clearance should be a lot lighter and have less windage than a cat with high underwing clearance. In smooth or modest seas, a cat with low clearance should, therefore, be faster upwind—again, all things being equal. As the seas build, however, and hydrodynamic drag increases on the underwing, the higher clearance cat should start to perform better, despite the fact that she also has greater windage and carries more fiberglass weight. A lot of spreadsheet guys forget this—they fail to see that sticking a cat an extra foot or more up off the water equates to more weight and more windage. This is a design trade-off that is often difficult to punch into the spreadsheet. 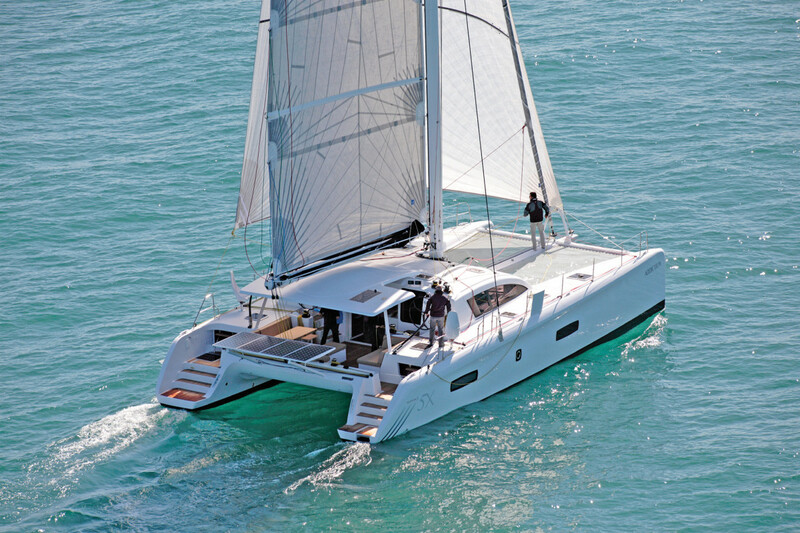 If we were sailing in the same conditions all of the time it would be far easier to design the perfect catamaran. 7. 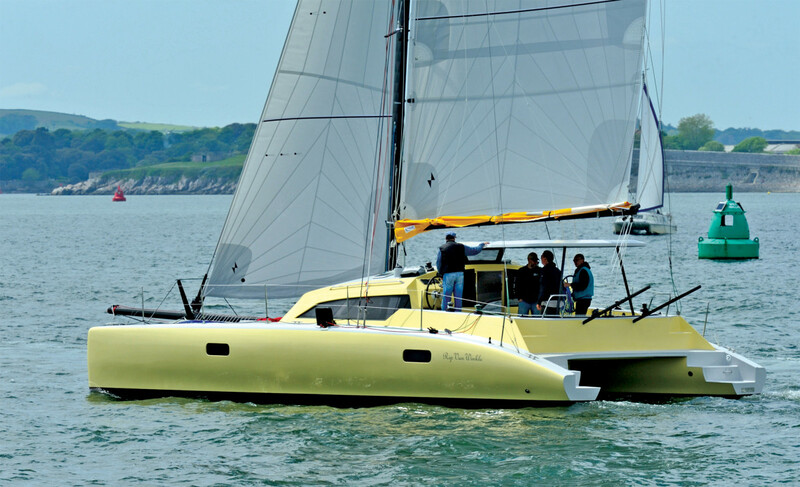 Anybody can design a fast catamaran. Most spreadsheet guys are focused on performance. They often reference this brand or that, tossing out numbers and statistics, and often enjoy lambasting heavy charter cats. 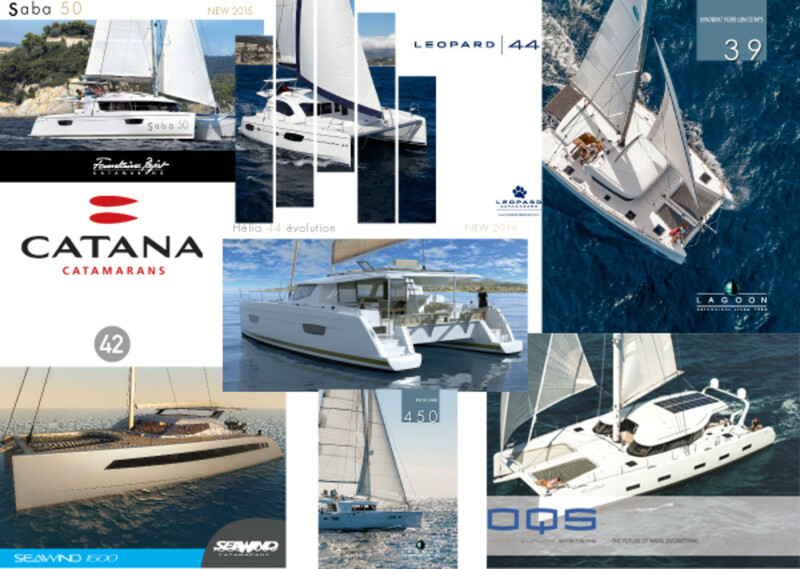 They have an idea of what they think is the Ferrari or the Porsche of catamarans based on “the numbers” or the price or the pedigree of the designer. 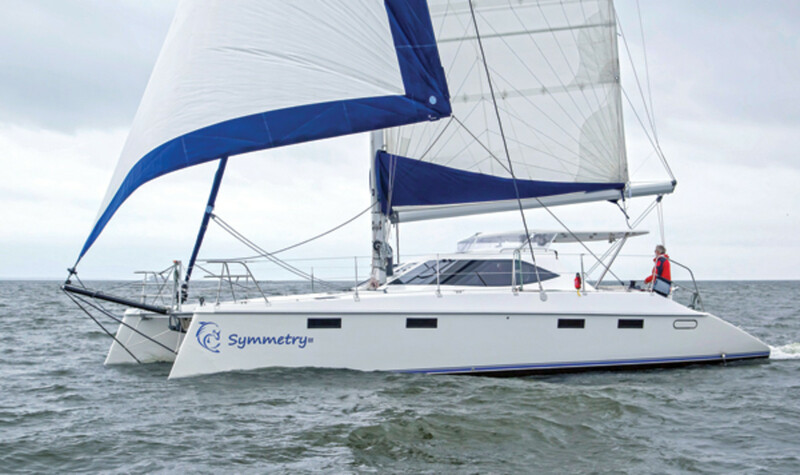 What many fail to understand is that it isn’t at all difficult to design and build a fast catamaran. Just make her long, lean and light, and give her plenty of sail. What is difficult—and what spreadsheets cannot measure—is the far more important stuff. How does she sleep? How does she ventilate? How easily is she sailed? What are her sight lines like when sailing or sitting inside? How easy is she to dock and maneuver? How intelligently is she laid out? How well are her systems designed for care and maintenance and reliability? A yacht design is a thousand little decisions and trade-offs that, if well done, achieve the desired objective. Before criticizing heavy charter cats, recognize that they are getting a lot of things right on the living elements based on the feedback of hundreds of charterers. As for the endless helm station debates, I give up! If you love dual helms, or forward cockpits, or bulkhead helm designs, or interior helms, or fly bridges, who am I to tell you you’re nuts? All helm designs have advantages and disadvantages. 8. It is cheaper to go fast by going longer and leaner with less costly materials than it is to go shorter with costly exotic materials. I am always fascinated at boat shows when people go giddy talking about carbon this or carbon that, infusion over wet bag, carbon mast over aluminum mast. Sadly, all too often they are just dreaming about a catamaran they cannot afford. 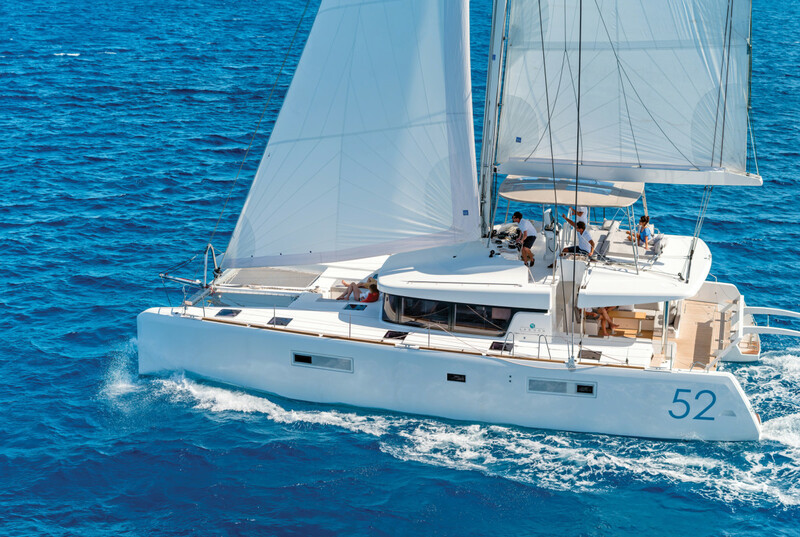 But if speed is all you’re after you can easily build, say, a 60ft catamaran with far less costly materials that will clean the clock of a 50-footer made with exotic and costly materials. I am very sure, for example, that you could build a 65ft long cat with a balsa core, marine plywood bulkheads and polyester resin (the cheapest materials available) that would plaster an all-carbon cat that is 55ft. However, because of that extra LOA, it will also be a lot more costly to dock. This is not an argument for using balsa core or polyester resin—there are many good reasons not to use either material—but it is an argument for measuring the value of the exotic over the less than exotic when deciding where you get the most performance “bang for your buck.” That said, if the price is no object, we all know the sky’s the limit. 9. Spreadsheets cannot calculate value. In the end, the purchase of a yacht is a deeply personal decision, and I am of the view that there is no wrong choice on some level—I’d rather see people sailing on any type of boat than not sailing at all. Some boats are obviously just a lot more desirable for specific objectives. I suppose a boat is worth what anyone is prepared to pay for it, but the spreadsheet has a difficult time measuring “value.” I was recently in St. Martin on business and met with the skipper of an ultra-high performance cat—an all-carbon rocket ship. I asked him about the boat, her speed and what she ultimately cost her owner to build. The sum he quoted me was staggeringly high. Similarly, at a recent boat show I attended, there was a cat on display that was 10ft longer than the one we had on display at over three times the price. Yes, one could have bought three of our cats for the price of one just 10ft longer. Again, if the price is no object, why not? But the spreadsheet has a very hard time assisting buyers in making a value decision. I note that this is also the case with boat competitions. The judges of competitions are focusing on features they like, or materials they like, not on whether a boat is a good value or not. I have no idea why. 10. There is light inexpensive and light costly, just as there is heavy inexpensive and heavy costly. As explained above, you can spend significant sums of money for marginal weight reduction. But of course, it all adds up. If you can shave 1,500lb from a yacht by using exotic materials, that either means you can design her hulls a bit narrower or stick on that generator and big tender and the air conditioning you cannot live without. Carbon hulls, carbon rigs, curved carbon daggerboards, high-end carbon sails, carbon stanchions, composite rigging and epoxy spray finished hulls, are all examples of very costly materials that lead to a lighter, faster boat for a much higher cost. These are all examples of light expensive. At the same time you can lower the weight of a boat in a wide range of ways by using cheaper, less durable and/or more maintenance-intensive materials. 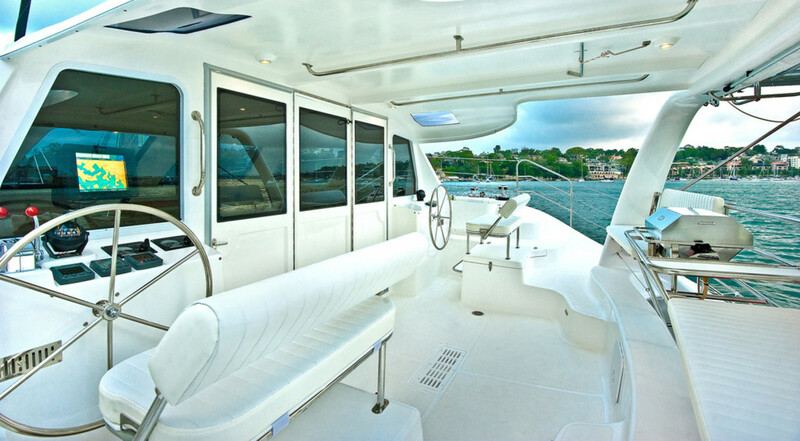 Examples of light inexpensive are using aluminum posts over stainless or carbon, plastic windows over glass or quality plexi, thin fiberglass tables and helm seats, less and cheaper cabinetry, canvas biminis over hardtops, zip-up helm covers over sliding fiberglass tops and dacron over radial cut sails. If you are only measuring weight and not quality, or want speed over anything else, there are many ways to make spreadsheet guys happier for less money up front at the expense of a less liveable, less durable and more costly boat to maintain over time. Just because a boat is lighter than another—or appears to be so—does not mean it is better quality. Nor is the converse necessarily true. 11. All 50-footers are not alike. One common error made by spreadsheet guys is when they compare cats of the same length without comparing the actual volume of the fiberglass parts. One cat might appear on paper to be heavier for the same length, but that in no way means it is a more heavily built cat—just that the builder did not focus on weight or was just too unskilled to know how to build it light. Does the 50ft boat have wider hulls? More deck storage? Does it carry more volume aft or forward? These sorts of things represent the trade-offs in design made by the designer and builder, so if you only compare weight then you are very likely not comparing liveability, or payload capacity, or deck space, etc. It is wiser to look at the materials and fabrication techniques a builder is using when comparing the volume of fiberglass parts. 12. Spreadsheets do not measure laminate schedules or materials. You can remove a great deal of weight from any boat by reducing laminate schedules, regardless of the hull core or type of glass used. But this can come at a cost in terms of durability and safety after years of use. 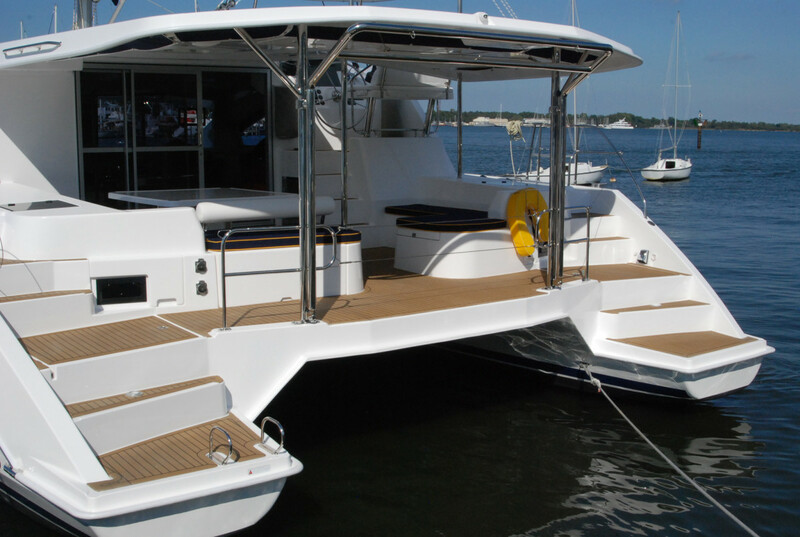 Over many years of selling used yachts, I have seen the deterioration and cost associated with builders who opt for marginal laminate schedules to produce lighter fiberglass parts at the expense of durability. This is manifested in spider cracks, osmosis, delamination and cracked bulkheads—often the result of flimsy, on-the-edge engineering. I, therefore, suggest spreadsheet guys jump up and down on the deck of the cat of their dreams and open up the hatches to see how and if they flex. Not all fiberglass parts are made the same. Not all boats will be able to press safely against rough seas or stand the test of many years of use. 13. A spreadsheet isn’t going to be helming your boat. Even if all the numbers add up, someone has to sail the boat, reef the boat, gybe, tack and dock her. Seamanship is earned, not purchased, and can only be measured by miles of safe voyaging. A great many spreadsheet guys buy ultra-performance cats they are honestly unqualified to sail safely. My own recommendation to those who want to sail on a performance cat is to get themselves a super-fast beach cat to play on and learn what it really means to be a “wind bender.” You also need to learn to sail without reliance on wind-speed meters or wind-angle instruments. To really sail well, one must learn to do it without instruments. Set aside the technology from time to time and feel the wind, watch the telltales, and bond with your boat and the seas and the wind. Allow your intuitive faculties to teach you deeper truths than your electronics. 14. A spreadsheet is unlikely to alter your budget. We often get detailed e-mails to our company from spreadsheet guys. They map out the perfect boat they envision, down to the generator, solar panel type, water-maker brand, sailmaker—you name it. After poring over blogs and cruiser forums they know what they “have to have.” Often enough, these e-mails never end with a stated budget. When we e-mail back to ask, “What is your budget?” a few come back with, “Whatever it costs to get what I want,” and we immediately know this will lead to a very pricey custom build. However, the more common response is, “I have $300,000 to spend,” at which point we know the dream boat is far out of reach. Either that spreadsheet has to get modified or the budget has to increase. 14.5. A spreadsheet cannot sustain your marriage. A lot of spreadsheet guys are all about the speed, but forget they have a partner to please. Not only that, but the latter is quite often a lot more intelligent than the former about choosing beds you can sleep in, kitchens that function and living spaces that lend themselves to a higher quality of life experience—both at the dock and underway. At the risk of sounding sexist, I meet very few female spreadsheet buyers, although I have come across a few in my time. My own wife loves the birding term to describe what most women do so well, which is to “nidify,” or build a nest. When a woman walks onto a boat she is asking herself if she can turn this space into a home, for herself and those she loves. She is usually the one who puts up the art, picks out the pillows, and brings a measure of style and joy to the living space. That, in part, is why charter-boat builders are so very often successful making sales at boat shows—a lot of guys start out with spreadsheets and performance in mind but end up capitulating to be sure their wives are happy with the spaces. Here is where the spreadsheet guy has the important challenge of explaining to his wife or partner that this boat sitting at the dock also has to move the family safely and comfortably from here to there. He must somehow explain that the more spacious and comfortable a catamaran is at anchor or the dock, the slower and less comfortable she will be underway. And what is the point of buying and sailing a boat if it won’t sail? In the end, those spreadsheets can tell us a lot, they can be very helpful. Just remember that in yachting everything is a compromise—­there is no perfect boat, and the best you can do is seek out the boat that best suits your needs and agenda at a price point you can afford. Whether you are sitting on a carbon-fiber rocket ship in the Tobago Cays sipping gin and tonics with Richard Branson, or hanging about on a well-worn charter cat, the fish, the bars and the sunsets are all the same. That spreadsheet may be fun to mess with, but it cannot make you happy. The conditions for the latter are a brew of ingredients that are not only unique to you, but that only you can mix. Ultimately, I suggest we set those spreadsheets aside and just go for a sail.